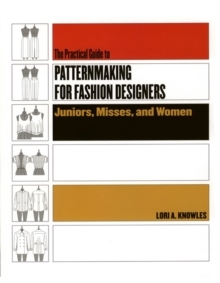 The Practical Guide to Patternmaking for Fashion Design: Juniors, Misses, and Women offers an in-depth look into the techniques and theories of pattern drafting for womens garments. Covering a wide variety of styles, textiles and sizes, this book is useful for pattern courses ranging from introductory to advanced. It provides a sound introduction to the concepts and processes of patternmaking, as well as a more advanced analysis of style and design. The book offers helpful techniques on taking measurements and adjusting the fits of garments for all body sizes, patterns and types of fabrics.